Have you ever looked at the timetable of classes at the gym and wondered what on earth it all means? It feels like there are about a million different forms of exercise to choose from. Entire gyms are dedicated to Crossfit, countless running groups, team sports you have never even heard of, classes with names you only vaguely recognise. So much to offer choosing can feel pretty overwhelming, and difficult to figure out which one is right for you. In addition, choosing an exercise regime that can make a difference to your health, and will actually be enjoyable. 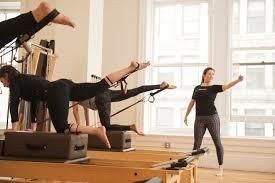 Pilates is the class that everybody has heard of, but few understand what it actually is and what the benefits are. Let us enlighten you; Pilates is a gentle, low-impact, full-body workout which focuses on control, breathing, and concentration to work the muscles. Regular gym routine can develop habits with poorly-formed reps with too-heavy weights only adds stress and damage to your body, whereas Pilates reduces physical and mental stress without compromising on results. It is also one of the most accessible classes out there; you will easily find sessions at a range of levels, from beginner right up to advanced, so don’t let nervousness about your novice status put you off! 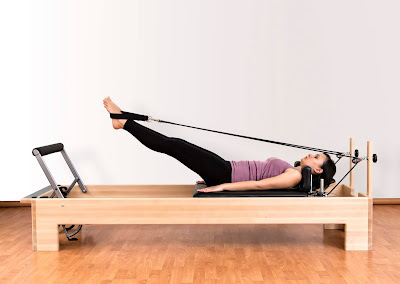 There are so many additional health benefits to Pilates that you will kick yourself for chickening out—who doesn’t want to improve their balance, tone their muscles, feel relaxed, and lose weight all at once?! It is also one of the kindest workouts for your joints and posture, reduces stress, and releases endorphins (happy hormones! ), all whilst giving your body a robust and effective workout. The additional benefits of healthy posture and improved general wellbeing makes Pilates dream of an exercise, so next time you’re looking over the abyss list of classes trying to decide what to book yourself in for, give Pilates a chance. For more information on choosing an exercise routine, speak to your chiropractor.